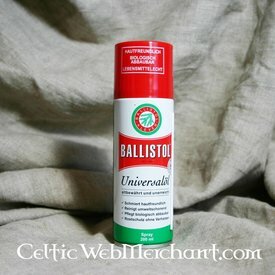 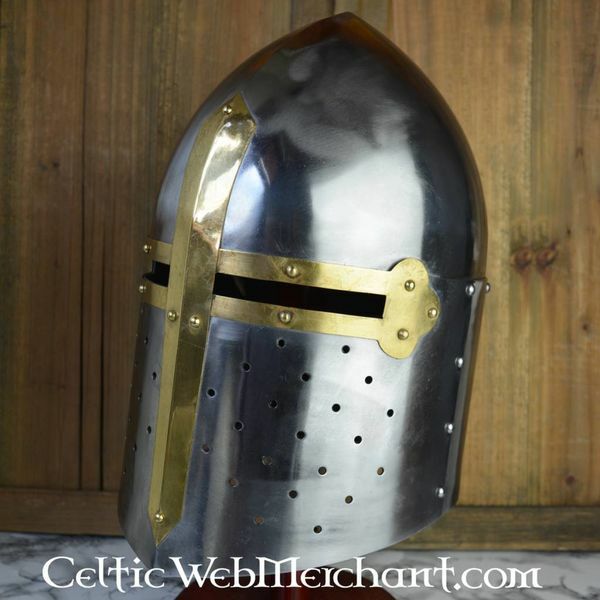 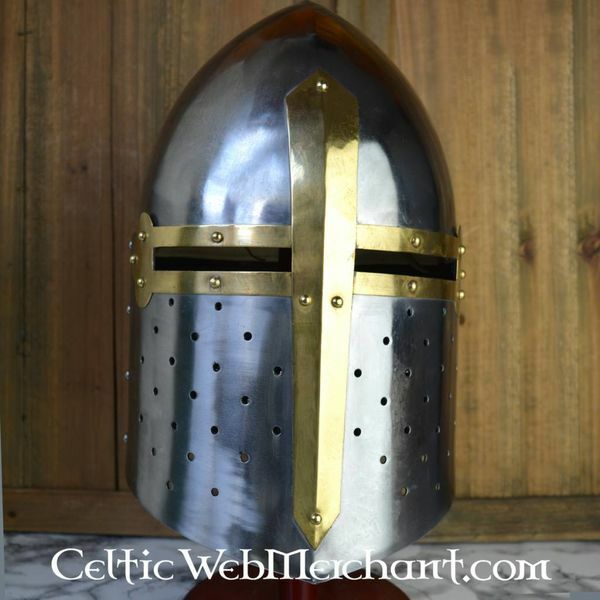 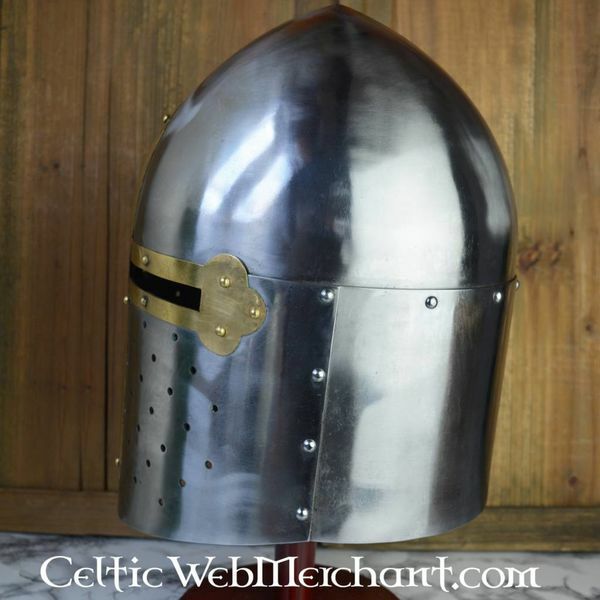 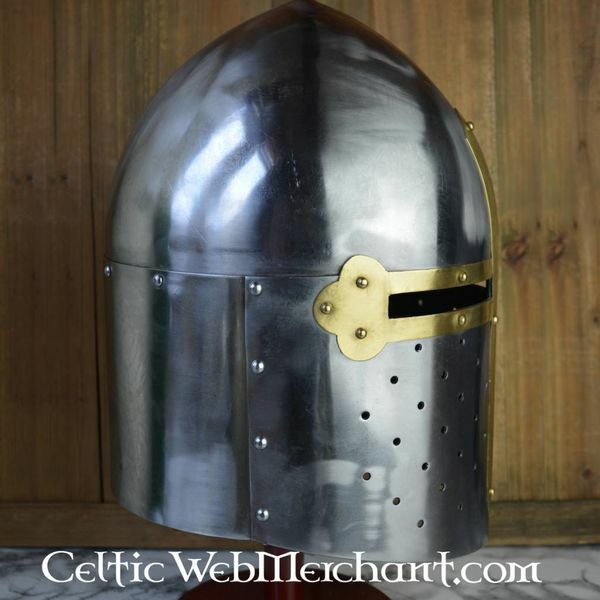 This great helmet is made after a French original that was used from the 12th century on. 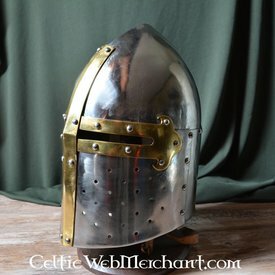 Helmets like this were worn by knights all over Europe. 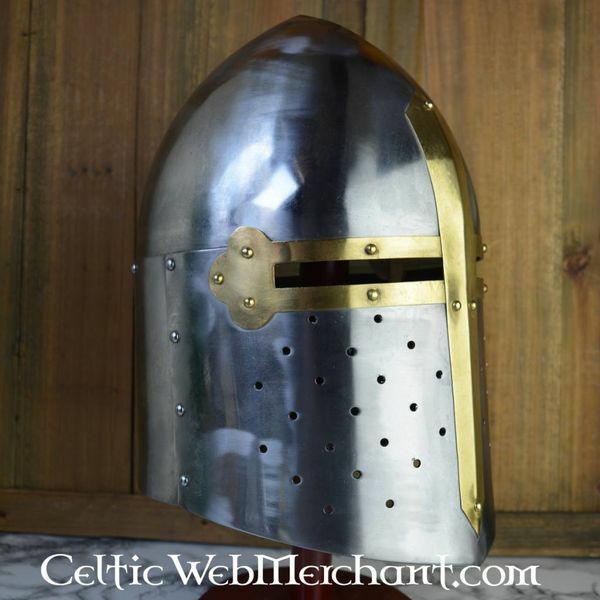 This helmet is made of 1,6 mm thick steel and decorated with brass. 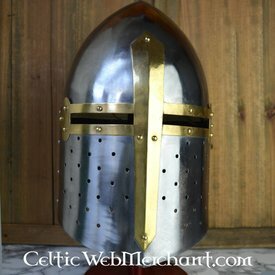 It is suitable for a max. 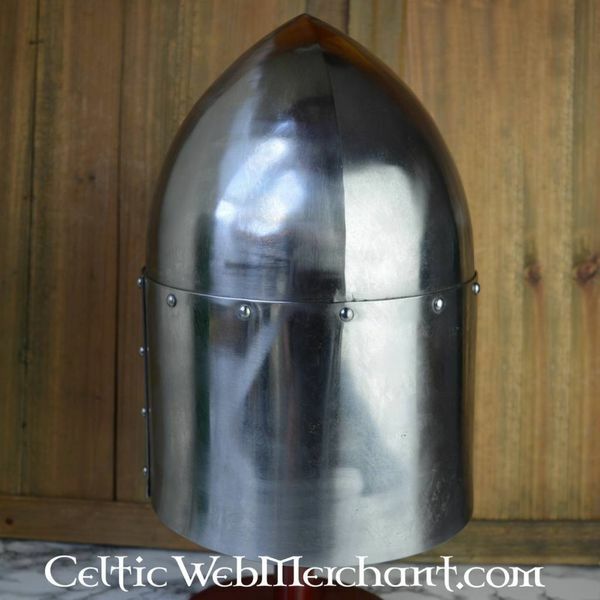 head circumference of 62 cm and it is delivered including an adjustable leather inlay.